"I spent my Saturday nights in New York, because those gleaming dazzling parties of his were with me so vividly that I could hear the music and the laughter, faint and incessant." The Old Dekalb Courthouse in the Dekalb History Center provided the perfect backdrop for florist and designer Al Delinger and his crew to create this spectacular Gatsby-inspired celebration scene for Michael and Jody's June wedding. 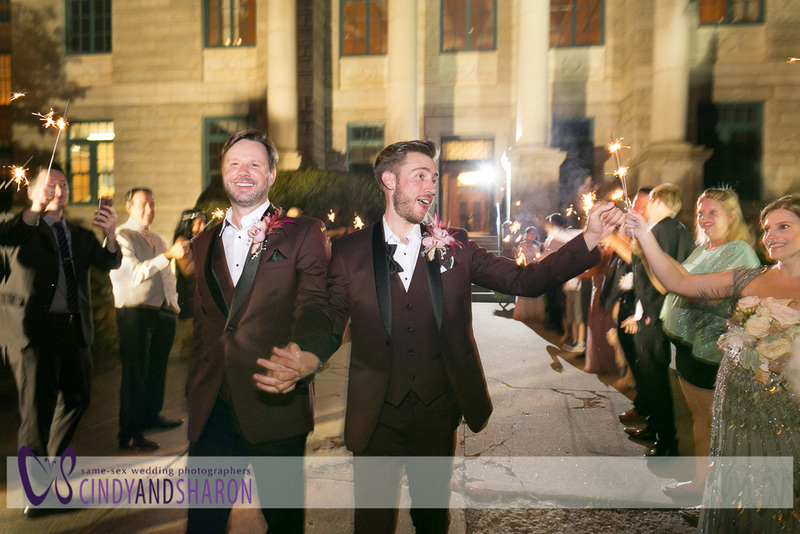 Michael and Jody sported merlot tuxedos accented with orchid boutineers. Their grooms' ladies wore Gatsby-inspired gowns and jewelry. DJ Trey from Soul Spin Weddings curated the music for the evening. Which led to some wild times on the dance floor. The bouquet toss, with a twist. We'd love to photograph your amazing wedding, too.